The Association of Nigerian Authors (ANA) has announced the publication of three Children books under its Nigerian Writers Series inprint. 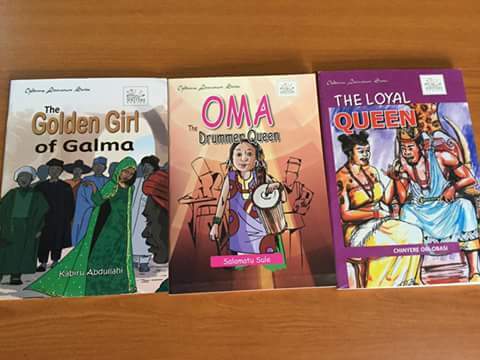 The published books are The Golden Girl of Galma by Kabiru Abdullahi, Oma The Drummer Queen by Salamatu Sule and The Loyal Queen by Chinyere Obi-Obasi. The Association had earlier called for manuscripts from Nigerian writers from which the Series editors made up of Prof. Uwemedimo Iweketok, Ikeogu Oke and Omowunmi Segun selected the three published works. The publications were funded from the 2017 Yusuf Ali (SAN) annual grant to ANA. The Association plans to launch its A-Book-A-Child reading project with these new books.